We review the most popular Infiniti G35 cold air intakes available on the market today. This is the ultimate cold air intake guide for your G-series. We know we’re not alone here, and the perfect solution, to begin with, is bolt-on modifications and swapping out the Infiniti air box for a high-flowing aftermarket part should always be one of the first changes. If you’re in the market for power gains, sound and throttle response improvement and overall improvement to the look of the engine bay, you’ve come to the right place! We cover both the earlier DE and the later HR engines in this guide, so this guide is here to help you find the perfect solution for your needs. Please note that a lot of these intakes are listed for the 350Z/Z33 since they have a much wider selection, since it is the same chassis there should be no issues at all. We recommend to double check before buying. Not sure on how cold air intakes work? Hit play on the video and Engineering Explained will tell you everything you need to know. 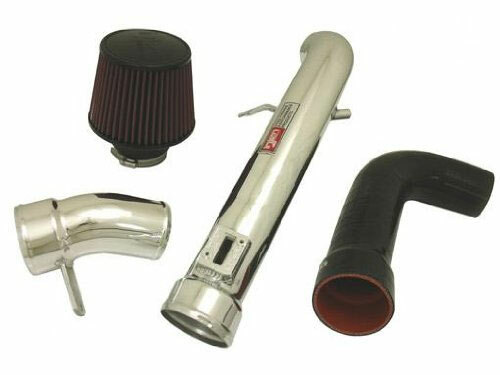 To read more about any of these products simply click on the cold air intake name or photo. Click on the purchase link to be taken to a retailer to buy that system. 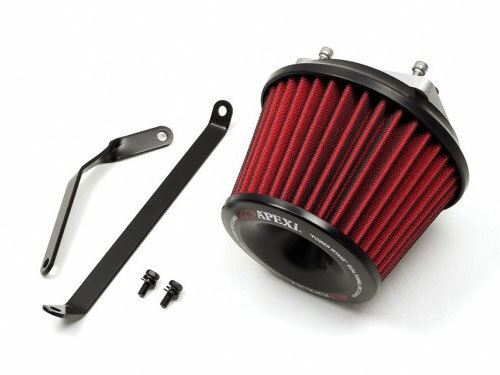 Our comment: The APEXi power intake kit lands at the budget end of of our G35 cold air filters. This kit is designed to offer you a simple bolt on solution to tidy up your engine bay, increase power, improve throttle response and increase induction noise. If you need a simple and reliable intake kit for your G-series then the APEXi is worth a look, where I would be a little concerned is the lack of quoted power figures from the manufacturer and installation on standard intake pipework. This is fine for the standard filter in OEM airbox as the box shields the engine heat, while this filter is exposed so it may suffer from heat soak. But with that said, for the price you really can’t complain! Our comment: The JWT pop charger is a competitively priced intake kit that has a lot to offer. A dyno proven 6.5bhp increase in power, hood sealed heat shield and a price point under $180 makes a very good case for itself. If I had to find a negative I would say the intake isn’t the most attractive bit of engine bay bling, but looks are subjective. Solid contender. Our comment: The STILLEN Hi-Flow air intake is an solid option for your G35. 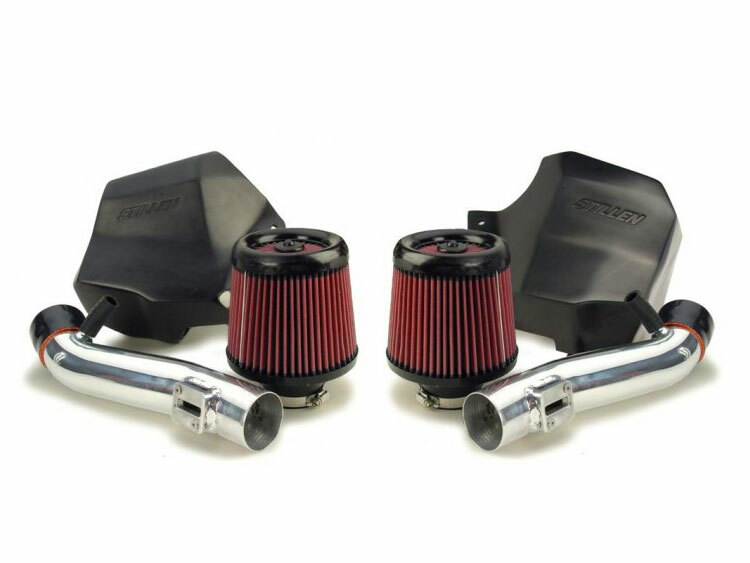 The kit includes a high performance K&N air filter and a polyurethane heat shield. The heat shield helps keep hot air away from the air filter and the combination produces 5bhp at the wheels, over the stock intake. I’m giving this kit three stars as although it is a solid kit, personally I would be looking at the JWT that offers more performance for considerably less cash. Our comment: Okay, now it’s time to get serious. Takeda are claiming that this high quality cold air intake is going to bolt on an extra 19bhp and 16flt/lbs of torque to your G35. That is a serious boost for under $300. This is a well designed but simple kit that includes an aluminium short ram pipe with a Takeda Pro Dry S oil-less filter. 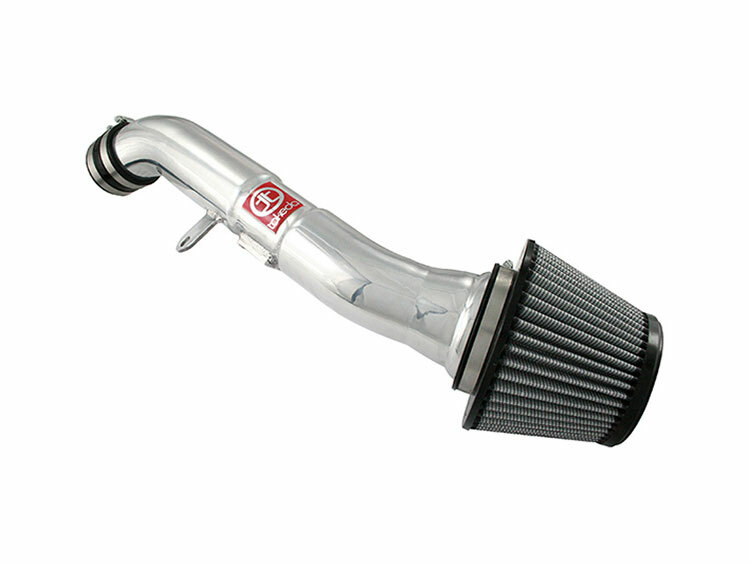 For the cost and the performance increase, this intake is rewarded with five stars. What a bargain. Our comment: STILLEN’s Gen 2 long tube dual intake is a comprehensive kit that offers one air filter per bank of cylinders, long relocation pipework and urethane heat shields. By relocating the air intakes further away from the stock position helps to feed the engine more cold air. If you live in a typically rainy country like the UK then it also reduces chances of hydro-lockling from flood waters. This kit looks fantastic in the engine bay, the aluminium pipes really adding some visual bling. Although Stillen is not making bhp claims on this kit, owners who have installed it typically quote around 15bhp increases. Our comment: The second of our cold air intakes aimed at the late model G35 is the generation three STILLEN long tube dual intake. Like the generation two kit this is a long pipe relocation style upgrade featuring one filter per cylinder bank. Unlike the previous generation, this third gen model offers a dyno proven additional 20bhp at the wheels. For just under $500 that is a pretty good performance deal. Couple that with the great looking aluminium pipework and the STILLEN generation three makes a compelling case for itself. Our comment: The Injen kit uses a single intake coupled with a three piece pipe to relocate the filter as far away from the engine as possible. 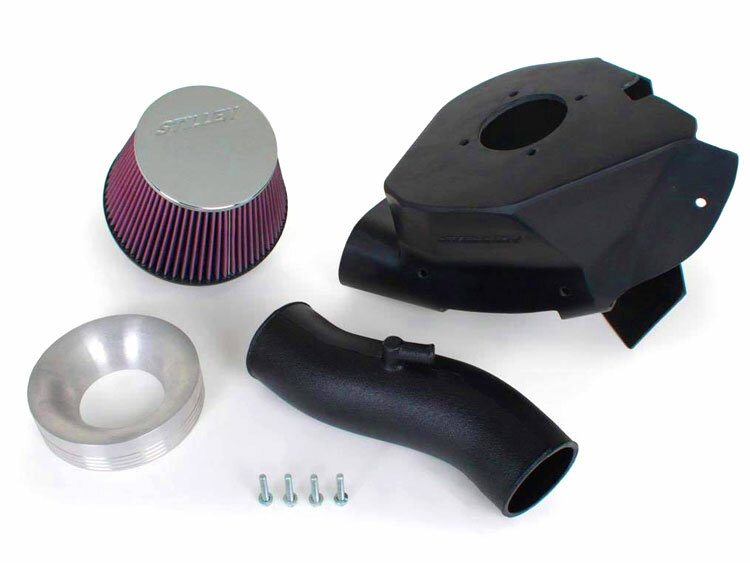 This cold air intake is the only filter in our list that offers OEM style black pipwork, which is pretty cool. Injen claim up to 20bhp power gains from this intake, which is very impressive, especially considering the sub $300 price point. This kit looks like a great option for your G35. The only negative I can see is that part of the pipework is silicone hosing, which doesn’t look quite as nice as full metal. A well deserved four stars for Injen. Our winner is the Takeda Air Intake for Infiniti G35. 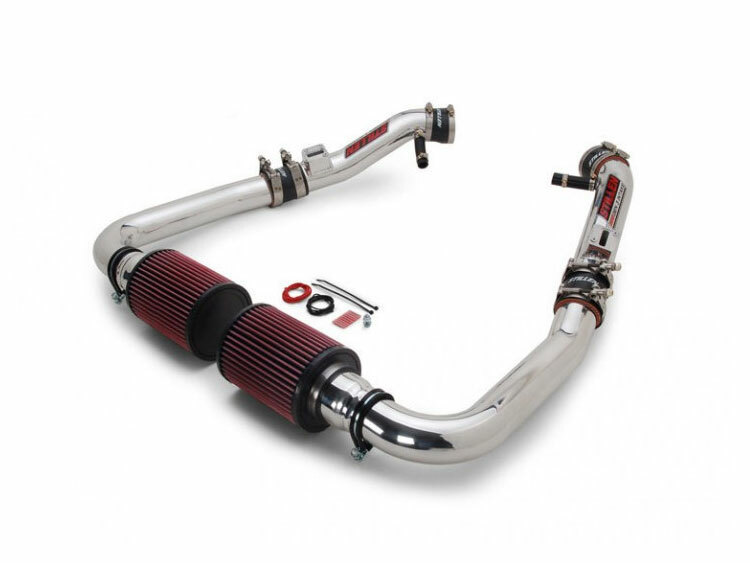 All of the cold air intakes in this guide are high quality, high-performance products. Each intake would be a solid benefit for the engine of your G35. With that said, there has to be a winning product and looking at all the different factors, there is a stand out winner. The Takeda intake offers +19bhp, great looking aluminium pipework and a sub $300 price. That really is excellent value. Great job Takeda. If you want to pick up a Takeda intake for your G-series then hit the link below. 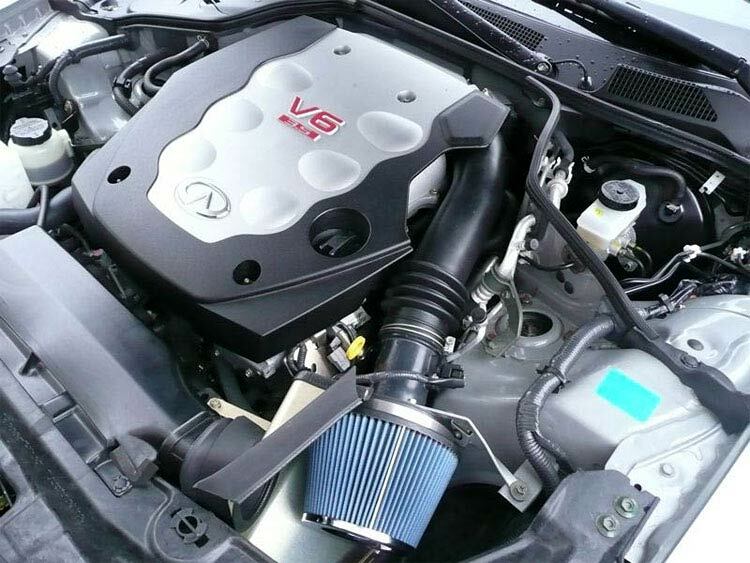 Thank you for reading our Infiniti G35 cold air intake guide. Want to enhance your V6 soundtrack while also unlocking more power? You do? Then check out our G35 exhaust and G35 header guides. Looking for a 350z intake? Try our 350z Cold Air Intake guide.